Located about 15-20 mins to the airport, the hotel has spacious room but the breakfast was terrible. The hotel has no key for the room but gave me the master key. Service was terribly poor. If anyone prefer a spacious room, then this hotel is ok.
Had a nice warm welcome. Elevator up to a clean room which had air conditioning and many channels on the t.v. There was a good film channel also. I could have eaten in the Restaurant or had Room Service. My 4.00a.m. call was prompt and when I arrived downstairs, my taxi was waiting for me. No need to carry my luggage at all at this hotel.The room looked recently painted and the bathroom was immaculate. 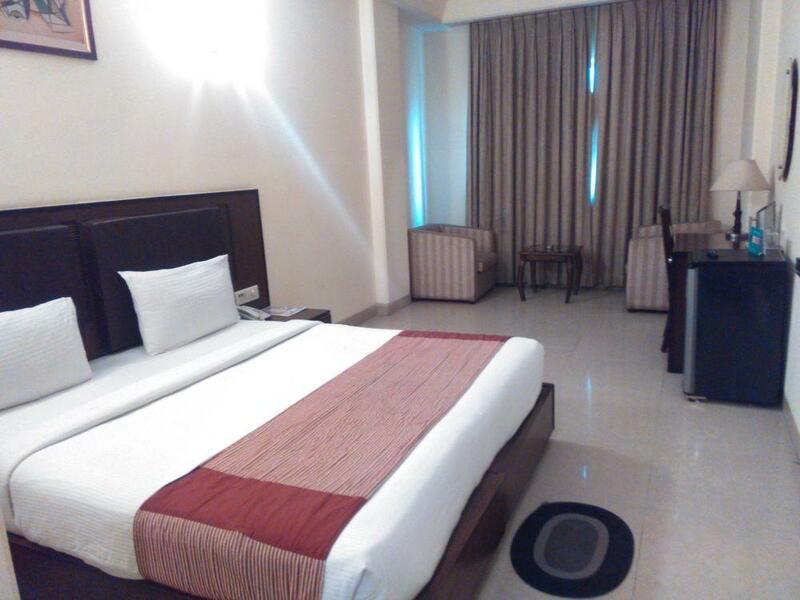 Short drive from airport, reasonable price, clean, comfortable bed, room service with good food. I just needed a place to stay for a couple of nights to recover from the long flights before pushing on. On my request, they had a driver meet me at the airport. Short drive to the hotel. Room and bed were comfortable. Wifi worked fine. People were friendly. I would recommend it. We had reserved and paid for five four people rooms (all in all we were 18 people). Still in each room there was only one double bed and nothing else. Finally we got some matresses for the rest of the people and of which the hotel staff and even the hotel manager tried to charge more money (500 RS of each matress)! At the hotel restaurant maybe one third of all orders (foods and drinks) didn´t come at all and still they charged for everything. The food was the worst we had in our whole two-week trip in India. The "Continental breakfast" was only toast and jelly. Hotel taxi cost double price compeared to airport taxi. 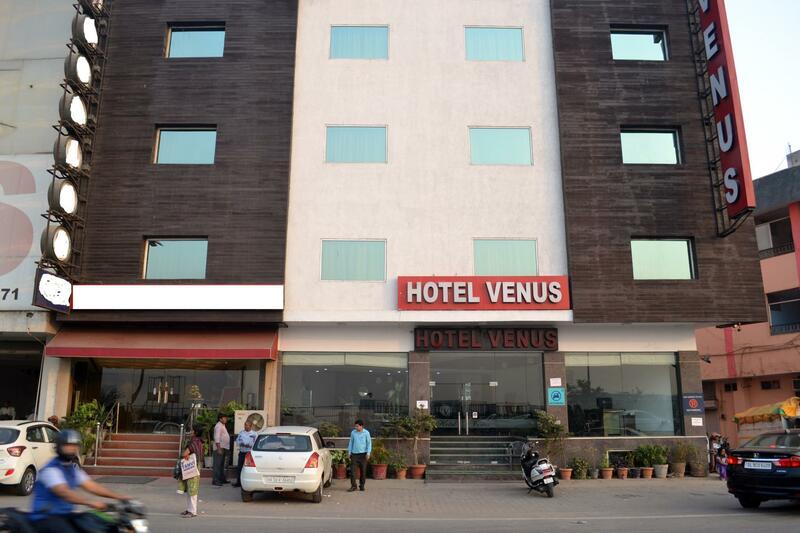 The hotel is located very close to airport also sorrounded by many other hotels. The staff are good. It is typical transit hotel and nothing more can be expected. Checked in early at 10am. No elevator up to second floor. Room was large. Hot water did not work. Wifi worked ntermittently. Room faces main road and was a bit noisy. Room service was prompt and decent quality. Taxi to airport was cheap 250 rupees. One night between flights. Standard completely as expected, but all meals are Room Service, not restaurant. the hotel was nice, except it was cold. the room was clean and comfortable and the bed was large and comfortable as well. the bath was all tile and clean. the location was great since it was near the airport, although a bit noisy since it is on a major street. only about 5 minutes to the international terminal. I didn't spend much time in the hotel.I thought i got into the wrong hotels. But then its too late, I did not arrive on time, there was slight flight delay frommy port of embarkation. I am supposed to attend the commonwealth games in new delhi, but due to too many hiccups in the preparation stage, I decided not to stay on, coz I'mnot confident of the safety and security aspects. was quite comfortable. Around there were many shops. . very close to airport. karyawan yang kurang ramah dan situasi lobi yang kotor. tidak ada lift seperti yang dipaparkan di internet. tidak ada restorant. tapi jika ingin makan makanan cina tinggal jalan kaki sekitar 50 meter terdapat restoran cina yang enak jika dibandingkan dengan makanan india. สถานีรถไฟใต้ดิน Delhi Aero City - ระยะ 0.77 กม.